We’d love your help. 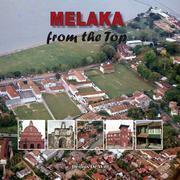 Let us know what’s wrong with this preview of Melaka from the Top by Dennis De Witt. To ask other readers questions about Melaka from the Top, please sign up. Melaka - a UNESCO’s World Heritage site - is well depicted in this beutiful book containing many unique pictures of the historic town of Melaka in Malaysia. This book traces back and compare the transformation and development of the town of Melaka and its surroundings over the centuries. It is a collector's item for anybody who has ever visited Melaka and it allows readers to see Melaka like never before - from the Top.